I went for a short trip to India. My mum has a little garden. She has most of the vegetable at her backyard and it is organic. I love the pumpkin from her garden it is very young (hardly has any seeds) and very tasty too. 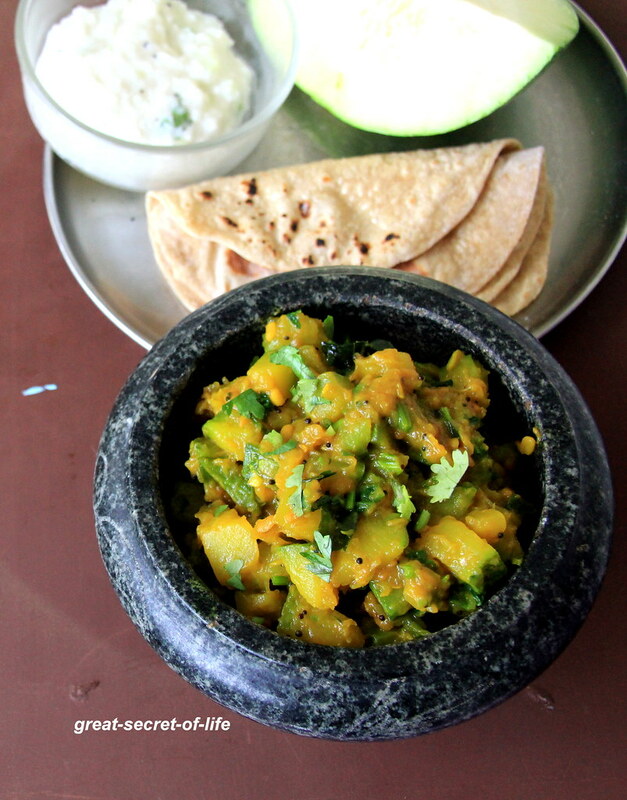 She made simple side dish with it when I was there. I loved it. When I came back and opened my luggage I was pleasantly surprised. She had packed one pumpkin. and I saw this recipe in Preethi's space. It was so simple and very interesting. I had decided to try this out for my roti / Pulka. Heat the oil in a pan. Add mustard seeds, let it pop. 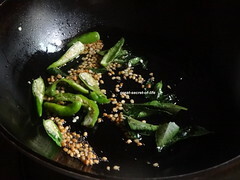 Add Urad dhal, Green chillies. 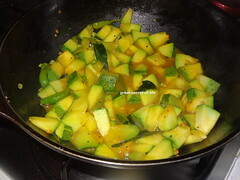 Curry leaves and fry till dhal is in brown color. 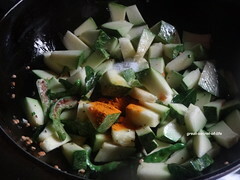 Add diced Pumpkin, salt, turmeric. Fry for a min. 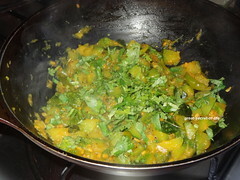 simple yet yummy curry!! 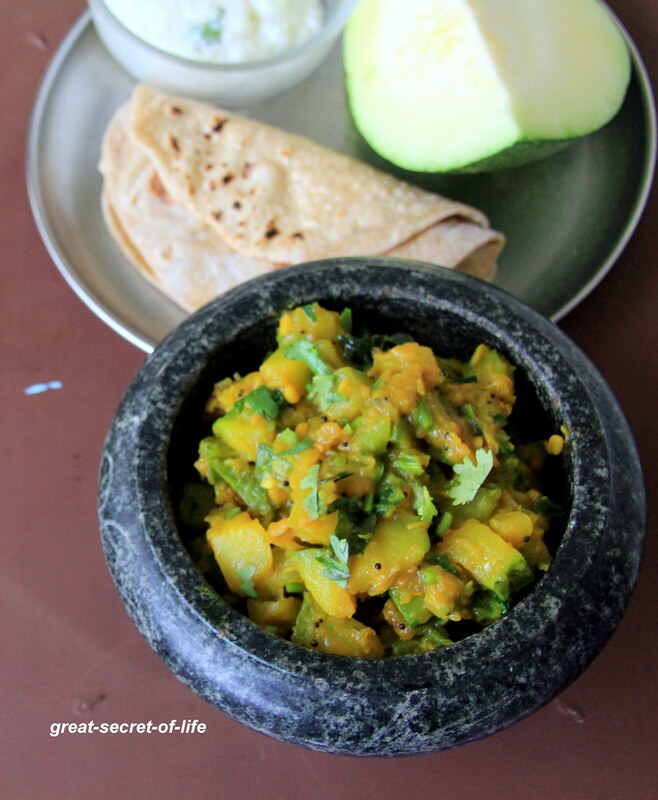 love it with rotis!! 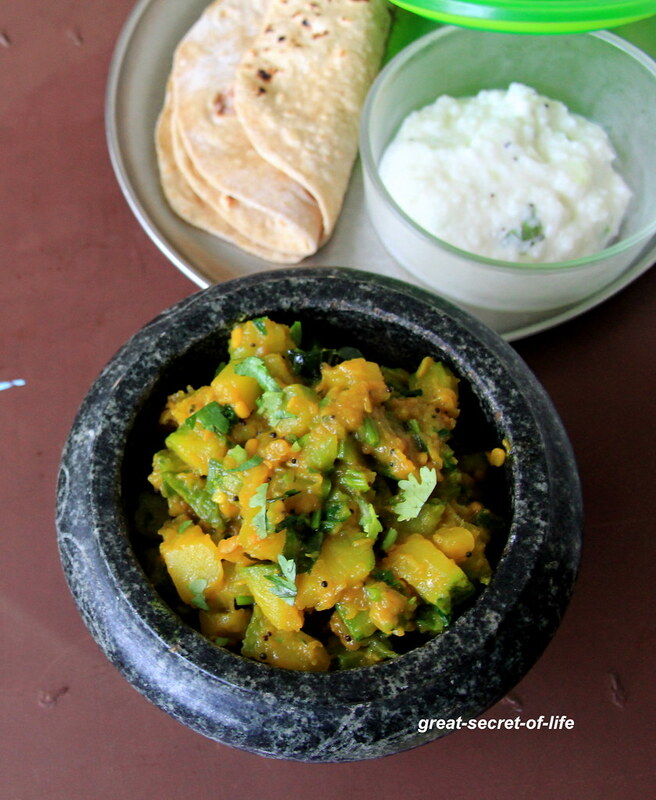 This is such a simple and delicious curry, going to try it when I get a baby pumpkin..